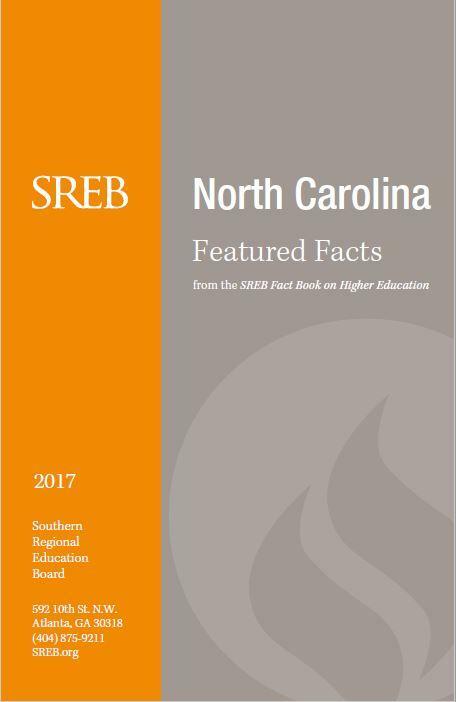 SREB works with North Carolina policymakers, colleges and schools to help them improve education. 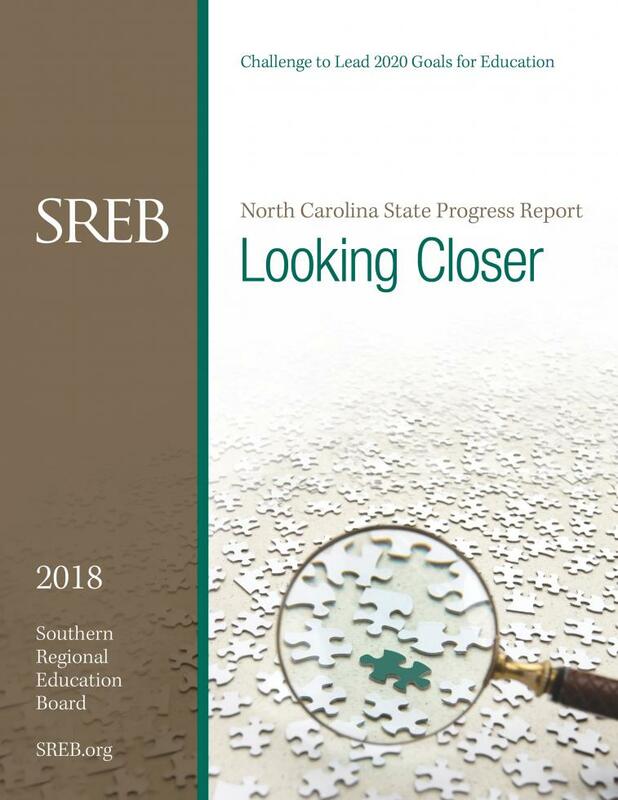 From this page, find independent, accurate data, reliable best practices and ways to share scarce resources — plus details on how North Carolina uses SREB’s targeted programs and services. These teachers, trainers, schools and districts were honored for their outstanding literacy and math practices at SREB’s College- and Career-Readiness Standards Networking Conference July 9, 2018 in Orlando, Florida. 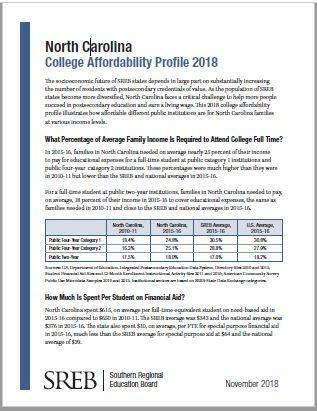 North Carolina-specific data on population, demographic, education attainment, enrollment, graduation rates, workforce, tuition, debt, funding, faculty salaries and more. Atlanta, GA — Delaware, District of Columbia, North Carolina and South Carolina are now members of the State Authorization Reciprocity Agreement. Forty states plus DC — close to 1,000 institutions — now participate in SARA. 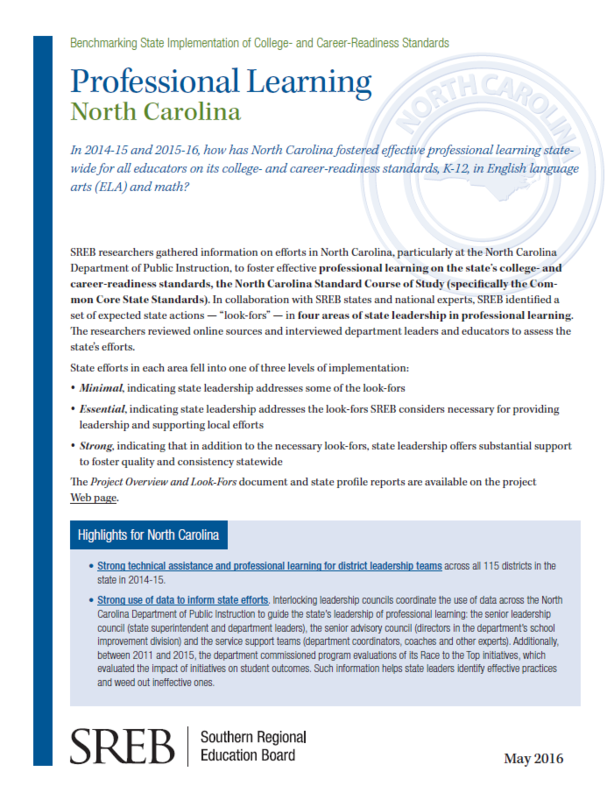 Atoniea Boykins, career management and Microsoft IT Academy teacher at East Rutherford High School in Bostic, North Carolina, is training in the strategies of the Literacy Design Collaborative. She finds that her students are learning more and becoming stronger writers as a result of working in collaborative groups.